It was great to have Jessie Oleson Moore on last #getbaked chat. If you missed it, you can watch it now on YouTube. Our next #getbaked web chat will be about baking bread and making pizza dough. 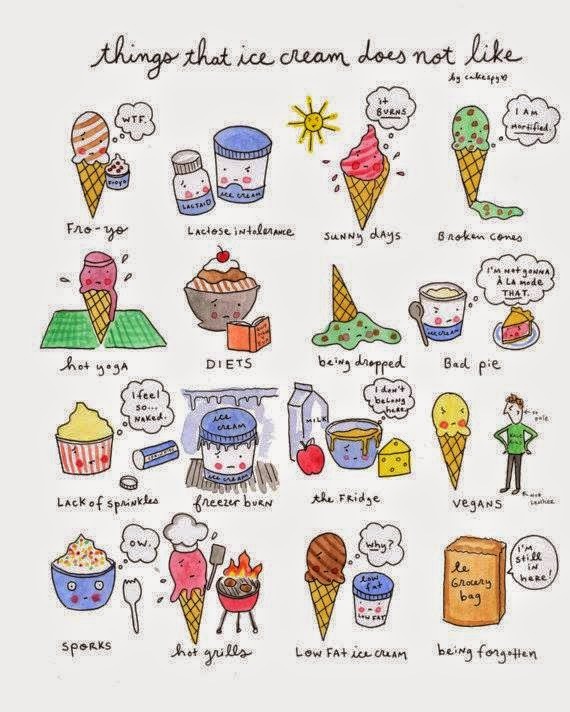 Below is an ice cream illustration by Jessie; every Friday, she does a round-up links. Her ice cream illustration is especially timely since the listeria outbreak that has affected both Blue Bell and Jenis Splendid Ice Cream. I am a fan of both so I hope ice cream production will resume soon. Here's a recipe for Coca Cola cupcakes. Subscribe to our Cupcakes Take The Cake Flipboard where I post recipe links of cakes, cupcakes, cookie and more.